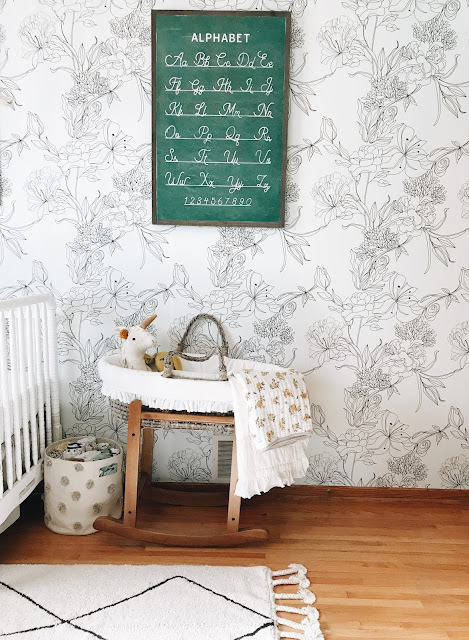 This sign is so adorable, and fits the room beautifully! Would love some more art for my home and what better than art that is straight from scripture/scripture related! So encouraging to have something hanging in your home as a constant reminder! We are preparing our home for baby #2 in August and so many of the HOB signs would be an awesome addition! I've always been in love with lettered signs and would be so grateful to win one of her beauties! I would love to add one of these pieces to our house because we moved into our first house in December a week after having our 2nd baby. Needless to say the decorating to make it feel like home has been suuuuppper slow lol. We homeschool and the green chalkboard design would look great on our wall, and I love the vintage feel it has. Thanks for the giveaway opportunity. What a sweet giveaway! I am currently homeschooling my five and four year olds (and I have a special needs two year old and a baby due in 3.5 months! So busy!) 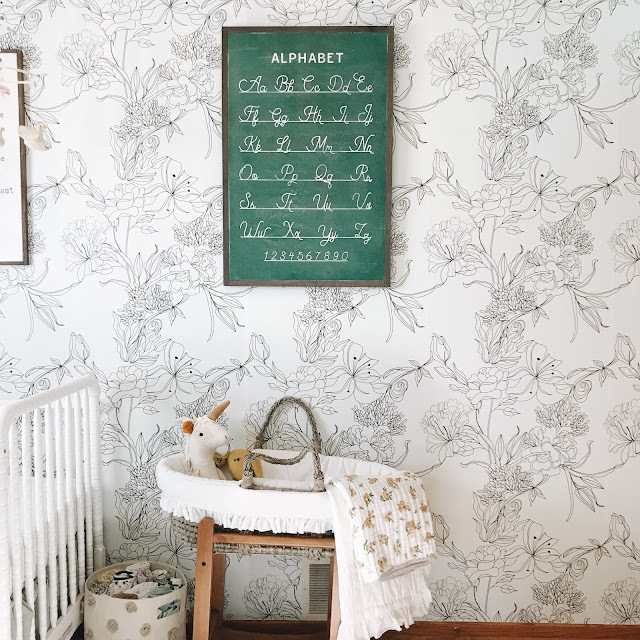 And we'd just adore this little sign in our home school room �� this is the first year that I've been trying to really prepare as much as possible before the fall, with how busy adding a new baby will make our lives! We are building a new home and I've been eyeing the Holy Spirit sign for our foyer. It would be perfect! I would love an HOB sign in my home because this year has been the most trying of my life but I have also grown in my faith and relationship with the Lord and am so grateful. I'm about to have my second daughter and my husband left us a few months ago, but God is good and faithful always!! I love that these pieces reflect her story of healing and peace, she is so talented! I love the items you chose from her shop and the meaning behind each of them, simply beautiful! It is so neat to hear her sweet story, have admired her shop for such a long time. What beautiful sentiments throughout your nest. I just love your "best of" posts! You always share the best finds! I would love to have a beautiful HOB sihn to hang in my new home because we're still decorating. We are remodeling the front entryway/playroom and a HOB sign would fit so perfectly! I have one HOB sign in my home and I love it. Every time I look at it, it reminds me to take a breath and slow down - I'm doing just fine!! I would love to have a HOB frame in my house! The book of Deuteronomy has a special place in my heart, long story, but when I saw the HOB print of Deuteronomy 6:5 sign, I instantly starting wondering how to put it in our house. i love that it quotes a verse saying to hang the verse in your home, essentially. Such a good word. I would love one of her signs they are so beautiful! Fingers crossed 🤞🏼 I would love to own one of these beautiful signs!! This shop is awesome. I love how the artwork is not only beautiful but encouraging . I wonder if they have ever done artwork with the Lord's Prayer yet? Oh wow! Thank you for the giveaway. I'd love to do a custom sign from this lovely shop!! I would love to add a HOB sign to our house because I think the workds ypu have on the wall and surround yourself with are so important. I would love to have a bible verse on the wall that I can look at throughout the day for encouragement. I love Tiffany's signs, I would love a custom sign for our nursery. This is the best approach to make children able to learn how to love the cats as well as learning good things for them. Love this (escpecially the link to all he gorgeous signs you have)!' Love the suggestions of books too. We are having our first little at the end of October so I'm trying to remember all the go to books of other mamas!! First of all, I love your space! It's absolutely gorgeous! And the "alphabet" sign is such an attractive piece that greeted me when I woke up this morning! We all need a reminder each day of the life we have and to not take life for granted. I have this in the form of a daughter who just happens to have an extra Chromosome that makes her extra cute. Despite the obstacles she faces each and every day, she is still smiling and loves life to the fullest and I do mean FULLEST! She may have Down Syndrome, but Down Syndrome doesn't have her. And how cute are her journals and campfire mugs? Good Luck all. We are currently building our first home & also due with our first baby in September. Many new changes in the next two months! I love supporting other businesses aside from your mass retailers & would absolutely love to put a treasure from HOB either in our new nursery or living room. :) I've been following Tiffany for so long and am in love with her work!! We are getting ready to move to our first home that is ours. I would love the opportunity to own just the right HOB sign that will put our personal stamp on the house to make it a home. I have gone to their website/Online Store and looked at many of her signs. It is very overwhelmed... I would see one sign and think it's perfect them scroll down and there are many others that fit. A few if the ones I like are, the BUILD A LONGER TABLE | WOOD SIGN, the HOME IS WHEREVER I'M WITH YOU | AEDRIEL - WOOD SIGN and the LET YOUR GLORY FILL THIS HOUSE | CUSTOMIZABLE WOOD SIGN. It would be a blessing to win this awesome giveaway. With all the expenses that come with a new hime and moving, we are strapped when it comes to decorating.